According to the Bureau of Labor Statistics, Cath Lab RNs and Techs will be in high demand through 2026, with both experiencing above average job growth. What is a Cath Lab RN? In layman’s terms, a Cath Lab RN assists the interventional cardiologist with procedures in the Cath Lab such as stent placement, insertion of pacemakers, and emergency interventions. Additionally, they provide care before, during, and after the patients’ procedures. What is the average salary for a Cath Lab RN? According to Glassdoor, Cath Lab RNs make $65,976 per year on average. This number varies based on experience and from region to region. What is the job outlook for a Cath Lab RN? The Registered Nurse career path is projected to grow 15% from 2016-2026, much quicker than the average for all occupations in the US. Rising rates of chronic health conditions, increased emphasis on preventative care, and demand for healthcare services by the baby boomer generation are all factors contributing to this growth. What is a Cath Lab Tech? Cath Lab Techs are responsible for performing diagnostic imaging tests, assisting the physician with procedures, and monitoring the patient, among other things. What is the average salary for a Cath Lab Tech? The Bureau of Labor Statistics lists the median Cardiovascular Technologist salary at $65,620. Similarly to Cath Lab RNs, salary can vary based on location and level of experience. What is the job outlook for a Cath Lab Tech? 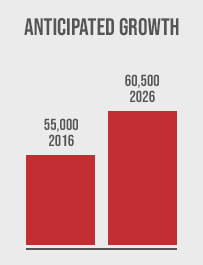 The Cath Lab Tech career path is projected to grow 10% from 2016-2026. As the baby boomer population grows older, conditions like heart disease are becoming more common, increasing the need for qualified individuals to run diagnostic testing and assist with related procedures. Want to work in the Cath Lab, but not sure where to start? Check out our previous posts on how to become a Cath Lab RN or Cath Lab Tech!